A wide variety of carrots can be grown in the home vegetable garden. They can be short, thin, long, or stout or any combination. 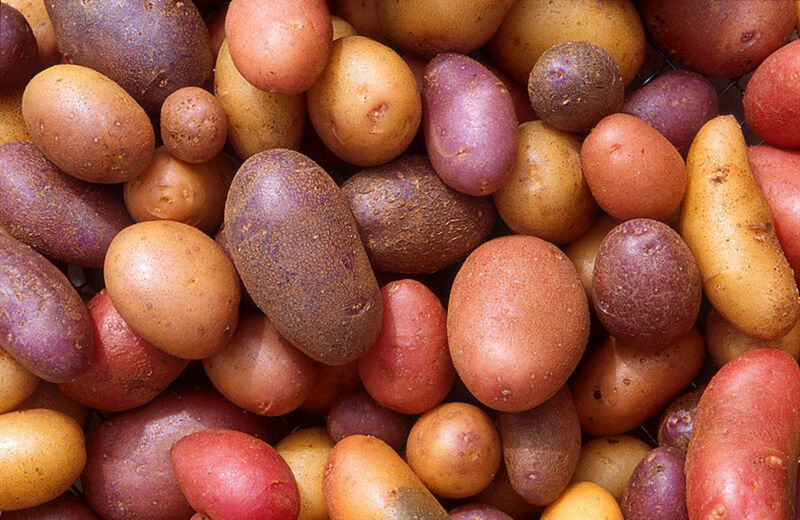 Traditionally we think of carrots as being the traditional orange, but they also come in a warm range of colors, purple, yellow, white, and red. These roots can be eaten fresh and in the right conditions can be stored for several months without refrigeration. 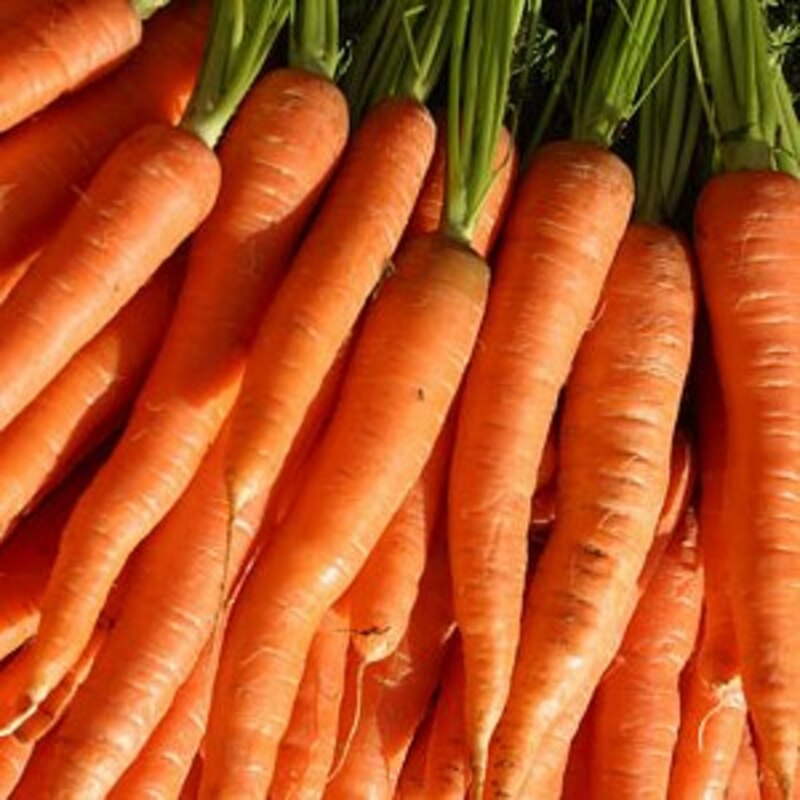 One serving of fresh carrots can provide more than the USDA recommended daily allowance for vitamin A, and also provides a significant amount of Vitamins B, C, D, E, and K.
Plant in the early spring as soon as the ground can be worked. Plant successively every two weeks to extend harvest. Planting Depth: cover with 1/4 to 1/2 inch of loose soil. 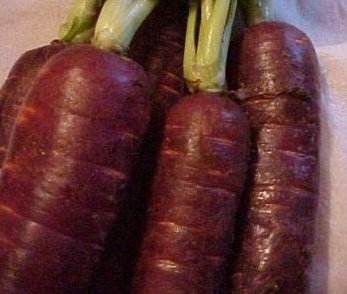 One important thing to remember about growing carrots is that too much nitrogen and long periods of hot weather cause carrots to become tough and bitter. In addition, sufficient lime, humus and potassium (think wood ashes) are important for growing sweet carrots.Therefore, add lots of compost to your soil went preparing for planting carrots, but do not add manure of any kind. For best results, I grow my carrots in a deeply prepared 4x8 foot bed of light sandy soil that i have added as much compost as I can spare from other growing projects. I like to companion plant my carrots with leaf lettuce, green onions and tomatoes. I plant the carrots in rows that three inches apart. I dig shallow rows, drop the carrot seeds about 3 inches apart and then lightly cover with a sprinkling of potting soil. I then water the carrots thoroughly and I then cover the rows that I just planted with small boards. I do this to help conserve water and to prevent weeds from growing until the carrots have started growing. I wait about 3-4 days and then every day I look under the boards to see if the carrots have started to sprout yet. As soon as I begin to see the carrots beginning to germinate, I remove the boards. About a week after the carrots germinate I weed by hand any weeds that have also germinated. After the carrots are about 3-4 inches tall, I lightly mulch around them to help conserve moisture. Thin carrots to three inches apart and use any baby carrots that you thin from the garden. Crowded carrots are stunted deformed carrots. Plant carrots several times during the growing season rather than all at one time, I grow enough carrots to last throughout the year. Animal pests like deer, woodchucks, rabbits and gophers are your biggest problem when it comes to carrot cultivation.The best way to keep them out is with a garden fence. Use a solid fence if possible. A deer won't jump a fence it can't see through. We built a fence using wood slabs from a local saw mill that worked beautifully to keep the deer out. Our dogs kept the other smaller animals away. Carrots are susceptible to the carrot fly. The maggots of this insect attack the roots. To repel this fly, plant carrots near onions, leeks, salsify, and herbs such as rosemary, wormwood and sage. Carrots will also grow well when planted with leaf lettuce and tomatoes. Carrots also grow well with peas.Carrots can also be covered with floating row covers to keep flies away during egg laying season. Nematodes make knots along the roots causing the roots to become deformed. To prevent this, roate the crops and apply plenty of compost (not manure). 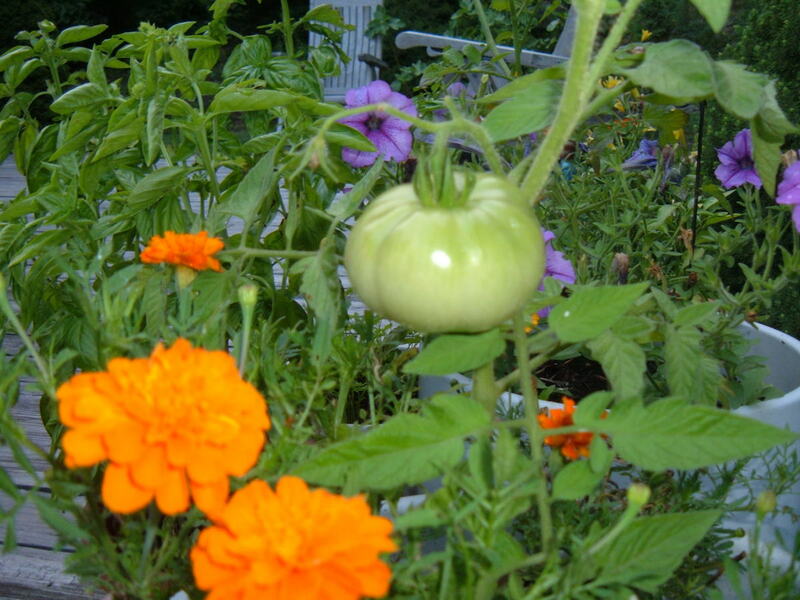 For severe nematode problems plant French marigolds in the bed the year before planting carrots. Hot humid weather causes vegetable rot, a bacterial disease. To prevent this, again, be certain to change your carrots location in the garden every year. Harvest carrots after they have been growing for the recommended time or however you prefer.You can start harvesting the carrots as soon as they are big enough to eat, or you can leave them in the garden and harvest them all at once. Dig your carrots before the first frost for winter use. Dampen the soil with water before digging to soften the soil and make digging easier. To save carrots for winter use, cut off tops. 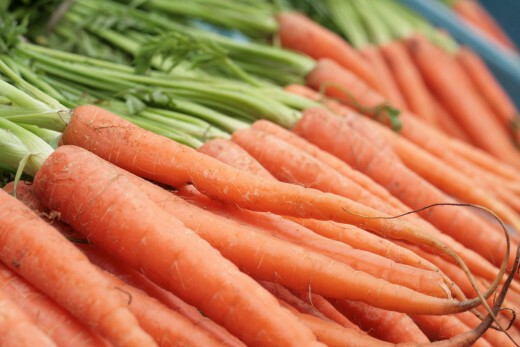 Layer undamaged carrots (don't let them touch one another) in boxes filled with sand or peat moss and keep in cool, but never freezing location. If you want to save carrots for the early spring after the ground has thawed, you can leave the carrots in the ground and cover with a deep layer of mulch. Dig in the spring before carrots begin to grow. Use as soon as possible or can or freeze. B. Leekley, Even though carrots will tolerate lots of shade, if I were growing carrots indoors, I would make sure that they were growing under a grow light and since the carrots have long tap roots, they need fairly deep soil of a foot deep or more. In Europe they grow parsnips in long pipes which create long parsnips, you could adapt your carrot growing so that you too could have long, carrots. I would suggest filling paper towel tubes and planting a single carrot seed in the tube and securing the tube in a planter of some kind so that the carrot can have lots of depth. If you were going to grow baby sized carrots, though, you wouldn't need to do this. A planter with an eight inch depth would probably work. Up and Useful. Thanks for these instructions. Any special instructions for growing carrots indoors? My wife and I live in an apartment and have three indoor cats. There are lots of squirrels and rabbits in the neighborhood. Let me know how it works for you, teaches 12345! I love carrots, especially raw in salads or just as a snack. Thanks for these tips. Next year, we hope to plant a garden and produce some homegrown carrots like this. DDE, That's why covering planted carrots with boards is so important. The boards hold moisture around the carrots and keep weeds from growing until the carrots can germinate. Homegrown carrots are delicious and I enjoy eating carrots. We have tried growing carrots and not all showed up. Thanks for your comment, VVanNess. Sometimes you just have to keep trying until it succeeds. I usually never expect much from a first year garden, but after a couple of years, I get amazing yields. We tried to grow carrots at one point, but they were all so small and tasted horribly. lol I would love to be able to do this again! Great article! I would love know if what I have learned here in Missouri helps improve carrots there in Washington, Bill. Thank you for the tips. We had a bad crop of carrots last year and I'm not sure why; you might have answered my questions with this great hub.